One of the most important parts of preventing pain is knowing what causes it. Patients who are interested in improving their spine health and preventing or reducing spine pain are encouraged to learn more about 5 of the most common spine conditions. Osteoarthritis is a chronic medical condition that causes the cartilage that make up a joint to slowly wear away. It can affect any joint in your body, including the facet joints in your spine. Because the facet joints allow the spine to bend, flex and extend, patients who have facet joint arthritis have pain that is associated with movement. Facet joint arthritis that reaches severe stages can cause the cartilage that protects the joints to completely wear away. This causes bone-on-bone rubbing that can be extremely painful. The spinal canal is a structure that is formed when the vertebrae of the spine are perfectly aligned. In a healthy spine, the spinal cord runs interrupted through the spinal canal. The nerve roots of the spinal cord branch out and innervate the muscles and organs of the body. 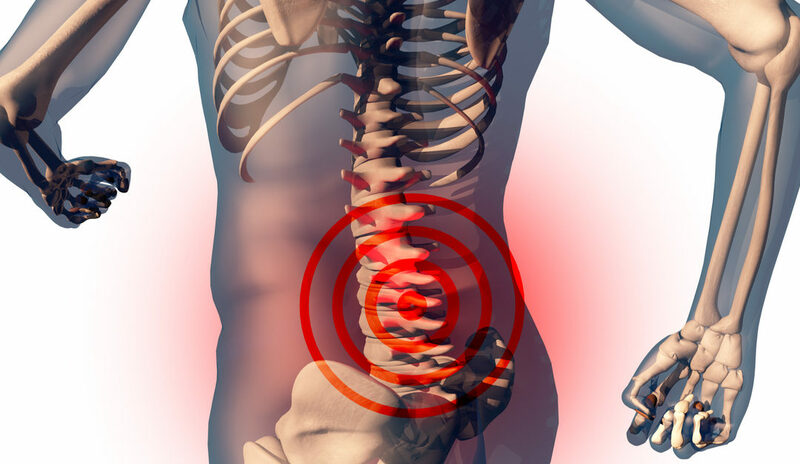 Spinal stenosis is a condition characterized by the narrowing of the spinal canal and subsequent pinching or compressing of the spinal cord and/or nerve roots. Patients who have spinal stenosis may experience pain in the spine and/or extremities. The intervertebral discs are one of the most important structures of the spine. The discs rest between adjacent vertebrae and prevent them from compressing or rubbing against each other. A diseased or damaged disc can lose water content and easily herniate or slip. When this happens, the disc can protrude into the spinal canal and pinch or compress the spinal cord or nerve roots. Pain in the spine and/or extremities can be experienced. The discs of the lumbar spine (lower back) are those that most commonly herniate. The largest nerve in the body is the sciatic nerve. Sciatica, which is also called sciatic nerve pain, refers to irritation of the sciatic nerve. The key symptom of sciatica is pain that originates in the lower back and runs down the buttocks, back of the thigh and below the knee. The most common cause of sciatica is a herniated disc. The lower back is responsible for bearing the majority of the weight of the upper body. Lower back pain can be caused by strains and sprains due to overuse, muscle imbalances or improper lifting techniques. It can also be caused by more serious medical conditions such as those described above. Lower back pain that does not resolve on its own should always be seen by an Orthopedic Spine Specialist. Patients who are in pain and would like a treatment solution, should contact our offices in Glen Rock or Maywood, NJ. We are currently accepting new patients and will get you in to see one of our Orthopedic Spine Specialists right away.